We produce, support, stimulate and share, high quality social research on families and relationships across the lifecourse. Visit this resource. IRISS promotes positive outcomes for the people who use Scotland’s social services by enabling them to access and make use of knowledge and research for service innovation and improvement. Visit this resource. 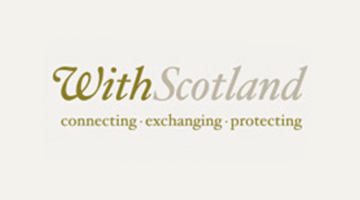 WithScotland is a national resource built on an inclusive promise to help improve outcomes for children in need of protection and adults at risk of harm. Visit this resource. CELCIS strives to improve the experiences and life chances of children and young people in Scotland who are looked after, their families, and those who have left care. Visit this resource. Many thanks to Dr Fiona Morrison for her hard work and creativity in developing the website and associated resources. Resources produced by Soundhouse Media with support from MASH Production. Website by Mortar Board Digital. This project is funded through the Economic and Social Research Council (ESRC). For all enquiries relating to this project please contact Gillian Ruch at the University of Sussex using the following details. © Copyright 2017 Cardiff University, University of Sussex, Queen’s Belfast University, University of Edinburgh, University of Sussex. All Rights Reserved.